Question: Hello Lyle, I have came across a suggestion that if you spend most time of your day in a cold room, your body expends more energy as heat because it tries to keep a stable body temperature. It makes a sense to me. I would like to ask you whether is that true and if its, how big is the difference? It could be very small or maybe 100-200 kcals a day. Thanks you for your help. Answer: The short answer is yes-ish but there are a few caveats; as usual I’ll trudge (hopefully briefly) through some of the physiology. The basic idea is that, by being exposed to cold, the body has to burn calories to generate heat. And there is truth to that. Some of this is due to shivering but there is also the whole brown/beige/brite adipose tissue thing that may be at play here. Many readers may remember a lot of interest in brown adipose tissue (BAT) a bunch of years ago. BAT was found in animals originally and exists, roughly, to burn energy to make heat. In contrast to normal white adipose tissue which is predominantly stored triglyceride with very few mitochondria (the powerhouse of the cell), BAT had a lot of mitochondria but not a lot of stored fat. It existed to burn fat, generating heat. There was a huge amount of interest, drugs called beta-3 agonists (which worked amazingly in rats and mice) were developed and almost immediately crapped out. They had minimal effect in humans and any effect was short-lived. So they were abandoned by pharmaceutical companies. Remember this when you see some supplement company is pushing a beta-3 agonist; if a multi-billion dollar pharm company can’t figure this out, neither can the supplement pushers. Obesity treatment is worth billions and pharm companies stop researching dead end drugs. And it looked like the reason had to do with the fact that adult humans didn’t have much BAT. Babies (who thermoregulate poorly) had it, a certain type of tumor (a pheochromacytoma) had it and folks exposed to chronic cold (Oh I’m a lumberjack and I’m ok) had more of it. But most adult humans didn’t and researchers sort of gave up on it. Then a few years ago, there was a huge amount of renewed interest in BAT. Researchers looking at something else with a PET scanner and saw something they couldn’t explain. And when they looked further, it looked like BAT. Why hadn’t they seen it before? Because they were measuring under thermoneutral conditions originally. In the newer research they were measuring during cold exposure. And that’s a big part of what turns on BAT: cold exposure. there are others, a variety of compounds including ephedrine/caffeine, capsaican and others may activate BAT. Beige/brite fat is similar in function to BAT but it’s not quite the same. There is currently huge interest in the “browning” of white fat, turning normal white fat cells into this type of thermogenic fat with the hopes that it can help stave off of obesity (and I wrote about this in some detail in my little Stubborn Fat Solution Patch 1.1 along with some pharmaceutical approaches to at least increasing the amount of beige/brite fat). It’s still questionable how much of an impact this will actually have, though. One recent study compared either ephedrine/caffeine or a day’s worth of cold exposure; ephedrine increased daily energy expenditure by 140 calories/day with ephedrine and 80 calories/day with cold. The cold didn’t cause shivering and it was thought that the effect was through beige/brite fat activation (the titles uses brown fat but all research groups don’t seem to be aware of the distinction between true BAT and beige/brite fat). There is also the issue that not everyone has the same amount or activity of beige/brite fat. 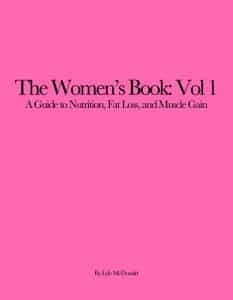 Women seem to have more than men (which is odd given their difficulty with fat loss and fat gain) and the obese have less total or less active amounts than the lean (which is not surprising). Trained endurance athletes actually have low activity of this type of fat and this also seems contradictory since trained endurance athletes are generally lean. But, as above, it’s unclear what real world effect this has since the caloric expenditure is very small and without drugs, it’s unlikely we’ll get full activation any time soon. But the bigger issue with all of this is that most in the modern world live in what is called the thermal neutral zone (TNZ). This has been suggested as one of many non-food/activity related contributors to obesity. This zone is defined as the range where human metabolism is not impacted and ranges from 25-30°C (77-86° real American F units). Outside of that, both higher and lower there is a shift in energy metabolism. But there can also be a change in appetite. This is thought to contribute to obesity in that, with heat, air condition and clothing, the modern human can make sure that they avoid what most perceive as uncomfortable temperatures; we live within the TNZ most of the time. Heat, increasing the core temperature, can increase energy expenditure (every degree increase in core temperature increases metabolic rate by ~10%) and tends to blunt appetite for various reasons. Cold can do the same, increasing energy expenditure but often stimulates hunger. Since the question was about cold, the numbers found in studies are anywhere from a 25 calorie per day difference up to about 185 calories/day less burned in the thermal neutral zone compared to a colder environment. The reason this is probably different than the cold exposure study above is due to shivering, the 50 cal/day study didn’t induce shivering but these studies probably did. So how cold was cold? The experiments typically compared 16°C (60°F) to 24°C (75°F). So pretty cold. If anything between those two has been tested, I don’t know about it (researchers often use extremes to make sure they get a measurable response). Would 21°C (70°F) have a smaller effect? I don’t know. At the end of the day, I’m not sure it matters. Unless they really like the cold, I’m not convinced that most people would be willing to be that cold all day to burn an extra 150 calories/day. It can certainly be acclimated to, usually the suggestion is to bring the thermostat down by a degree every few weeks, sleep with progressively less clothing and blankets, etc. Or you could do 15-20 minutes of moderate intensity cardio and not be cold, miserable and have to overdrive your AC (unless you do this in the winter). There is also the question of increased hunger; if food intake goes up in response to the cold, that could easily overwhelm this small effect (exercise, in general tends to decrease hunger). Sure, if you can maintain food intake without change and if you can handle being that cold all the time, you might get some extra caloric expenditure and that might be useful. But I doubt that, in practice, most will be able to do it. And before anyone asks about it in the comments: no I do not think that these silly-assed cold vests that are being claimed to “activate brown fat” will do much. Recall that the study above only found a 50 cal/day increase with cold exposure based beige/brite fat activation. Wearing one of these things for a short period won’t do squat. So the answer is yes-ish. There is an effect that could add up over time (i.e. 150 cal/day extra done every day is 4,500 calories/month) I’m not convinced that practically most can do anything with it due to the hassle and uncomfortableness of what’s required.